This post is one that has been heavy on my heart for some time. I don't expect it to be well received. 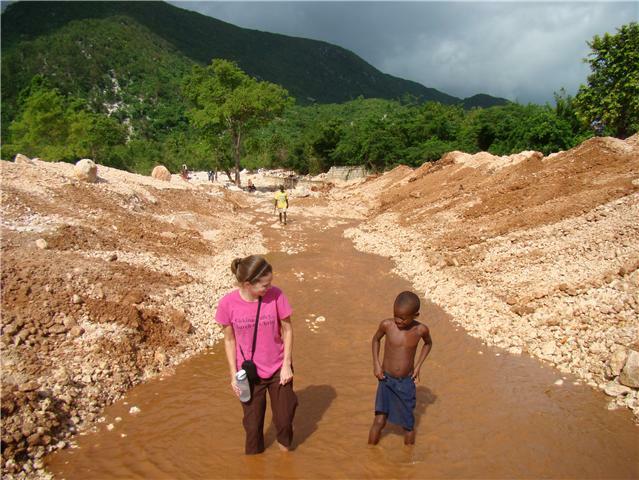 Here in Haiti by orphanages and children's homes. I believe they were meant for children who are orphans. But the truth of the matter is, most children I have met in orphanages in Haiti are NOT orphans. Most have a living parent. So why all the orphanages? Why all the adoptions? Why all the child sponsorship programs available for any first world person to support a child in an orphanage? For $30/month you can help provide housing, meals, education and medical care to one of these children. Is there a living parent? If so, what is the organization doing to try to reunite and help the family be able to provide for all the members in it? If not, is there a living relative, who with the right aid, is willing to raise their niece, nephew, sibling, cousin? Poverty should not be a reason parents give up their children. If the parents are dead, then that is one thing but that is not the case with most kids in orphanages in Haiti. How can we as Christians think that God does not want a family to stay together? How many of you would chose to place your child in an orphanage if there were other options to help you care for your child? Why aren't we putting more effort and funds towards keeping families together? Social Services here in Jacmel have asked David and I several times to open an orphanage or children's home. But we have another dream. A dream of a Haiti filled with families. Families of all types. Which is one reason why we have enlarged our family fostering 2 teens. One is a true orphan with both parents deceased and we work with the mother of the 2nd child in hopes of reuniting them one day in the future. This girl goes home for regular visits ans her mother comes for visits also. This dream is possible. I believe the funds will be harder to find than funds for children who are labeled as orphans in orphanages. Imagine to HOPE we can give a family in helping them stay together. In coming along side of them and helping them taking care of their own children. I think this change has to be made by you. The supporters of these non-profits helping take care of "orphans". Yes, some are true orphans. But not has many as fill the orphanages and children's homes to the max here in Haiti.